At the core of leadership is the ability to understand and coach different kinds of people, encourage and inspire them to perform at their best, and create new solutions. Ability to make good decisions and find new approaches are critical in this ever-changing world. If you understand how the mind and the brain function, you are able to understand and lead yourself and others much better. In addition, you have better access to your mind’s full capacity. Do you lead with your left or right brain and do you know what’s the difference? Do you understand how the brain and the mind differ from each other? And why we need to balance the intellect and intuition? Leaders and managers are faced with lots of challenges. They need to provide new approaches, predict the future, lead people through constant changes and ensure that everyone is motivated. However, the constant pressure usually means that decisions are made with the old information and old thinking. It does not need to be this way. In order to really see all the solutions, we need to balance the situation and take the mind’s full capacity into use. We need more and more new thinking and new solutions, both individually, in companies and globally. As Einstein said: “We cannot solve our problems with the same thinking we used when we created them”. 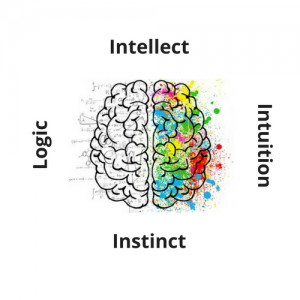 We have traditionally valued the intellect and the left brain, although the real competitive advantage comes from creativity, intuition, and the right brain. In the leadership training, we look at the situation both from the left and right brain. We start by looking at how the brain affects our behavior and why knowing the basics of neuroscience is really beneficial to leaders. We continue by diving deep into the mind and its operating logic. We look at the principles of the mind and how it is possible to start using the inner wisdom and intuition more. 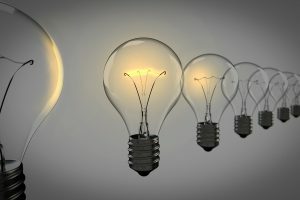 Innovation and intuition both come from the same source, as well as mental wellbeing. Thus when you realize the secret behind it all, nothing remains the same. Good leadership starts first and foremost from understanding yourself. As a by-product, you start to understand others. Leadership training is implemented usually as a minimum of 2-day training. In order to get the best possible impact, it is recommended to combine at least one personal coaching session with each manager. It is also possible to start the training with an HBDI assessment (read more about HBDI here). Personal coaching is often the most effective way to develop oneself and reach specific goals. The coach helps the coachee to have insights and reach his/her full potential. With coaching, we can support the leader’s professional development or any other area of his/her life. 1:1 coaching process takes around 3-6 months. Before starting the coaching process, we’ll always ensure that coaching is the appropriate solution and we go through the process in detail. Coaching can be done also via video conferencing, however, the first meeting takes usually place face-to-face.